That is Jeff on a Saturday. There ain’t nothing more relaxed than that! Dad, what's that dark place? What's that shadowy place over there dadda?? 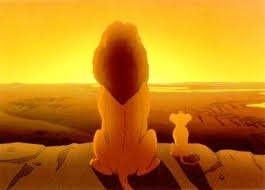 What's that shadowy place over there Dad? Don't know son, we are from Guntur. Dad what's that dark place over there beyond the light? LOOK SIMBA, EVERYTHING YOU SEE I HAVE MEASURED. "WHAT ABOUT THAT SHADOWY PLACE OVER THERE?"